Innovation within the bioeconomy needs a deep analysis of the market. We can identify and exploit trends and market needs. 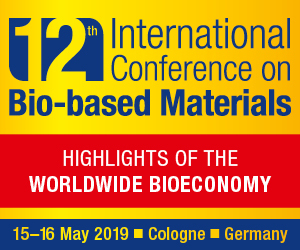 This article describes the need for market analysis in the bioeconomy sector, and provides insights on developments in biogas and bioplastics, for future market exploitations. 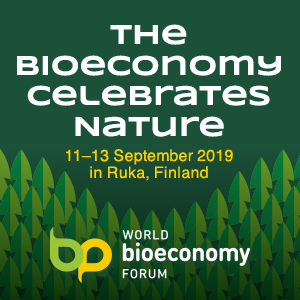 Why market analysis in the bioeconomy sector are so important? The identification of new bio-based applications, products and markets is not easy. It requires the identification of societal and market needs and trends, coupled with technological possibilities and business interests of the full value chain. Two EU funded projects provide interesting insights of two different markets in the bioeconomy sector that will contribute to the future growth of the bioeconomy in Europe: the bioplastic and biogas market. KARMA2020 is a Research and Innovation project funded by the topic SPIRE-03-2016, Industrial technologies for the valorisation of European bio-resources into high added value process streams, aimed to the industrial manufacture and exploitation of sustainable raw materials from feather waste to develop innovative green products for high impact cross-sectorial markets. A partner of the project, PNO, performed a preliminary analysis of the Bioplastic market within the framework of the project. An impressive growth trend of this market has been recently confirmed by a study conducted by Allied Market Research. As stated in the report, the global bioplastic market, in 2017, generated a revenue of about 18.75 billion €, and is expected to reach a value of 60.85 billion € by the end of 2024, with a forecasted compound annual growth rate (CAGR) of approximately 18.83%. The same study revealed that, mostly driven by supportive conditions, including favourable policies for bioplastics manufacturers, in 2017 Europe accounted the highest market share for bioplastics, and this market in Europe is expected to grow with a CAGR of 18.7% in period from 2018 to 2024. The bioplastics market is broadly divided into two main branches: i) biodegradable and ii) non-biodegradable but bio-based plastics. Biodegradable plastics are further segmented into PLA (polylactic acid), PHAs (polyhydroxyalkanoates), biodegradable starch blends, biodegradable polyesters, and others (biodegradable cellulose esters). The biobased plastic segment consists of so called “drop-in solutions” which are chemically identical to their petrochemical counter parts, but (partly) derived from natural resources. Commercially available examples are Bio-PA, Bio-PET, Bio-PE, and others such as Bio-PC, Bio-TPE, Bio-PUR, and epoxides. Bio-based, non-biodegradable plastics currently cover for around the 57% (about 1,2 tonnes) of the global bioplastics production capacities (Bioplastics market data 2017). 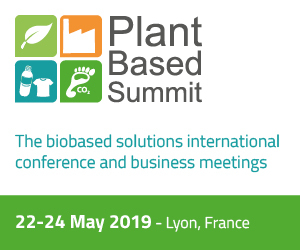 The bioplastics are used in an increasing number of markets and sectors, from packaging, electrics and electronics, automotive and transport, agriculture and horticulture, consumer products and textiles, as well as other segments. Among all these categories, the packaging sector, which comprises flexible and rigid items, remains the largest field of application for bioplastics with almost 60% (about 1.2 million tonnes) of the total bioplastics market in 2017 (Bioplastics market data 2017). A preliminary analysis performed by PNO within the DEMETER project, funded in the frame of Horizon 2020 Public-Private Partnership Bio-Based Industries Joint Undertaking to demonstrate an efficient enzyme production to increase biogas yield, showed interesting data for the growth of the biogas market in the next years. The global biogas market is expected to grow at a significant rate over the period from 2016 to 2024. The increasing Greenhouse Gas (GHG) emissions and their destructive impact on the global environment are driving the market. Governments across the world are investing heavily in the production of renewable energy sources to curb the carbon emissions and ensure a stable and secure supply of energy. Increasing awareness among global population regarding the hazardous impact of GHG emissions on the environment is presumed to encourage the growing installation of biomass production plants across the globe. Agricultural producing countries are presumed to incorporate considerable opportunities for industry growth as the implementation of biogas production and application of biofuel is anticipated to provide additional sources of income for the farmers. However, high installation cost involved in the setting up of a biogas plant and pipelines for transport could represent a challenge for the industry growth over the forecast period (Grand view research). Global biogas market can be segmented as organic waste from landfills, municipal waste water, commercial organic waste, agricultural waste and energy crops. Landfill gas is anticipated to grow substantially pertaining to escalating demand for effective waste management implementation. Municipal waste water in global biogas market is set to grow appreciably pertaining to intensive population growth and developing food industry (Global market insight). Europe is envisioned to emerge as a predominant region. And, although regulations are not the sole driver of the biogas industry, they are a primary one. In Europe, which is home to the world’s largest regional anaerobic digester market, the existence, stability and reliability of the legal and political framework is seen as the greatest influence on the market (BCC Research LLC source and publisher). Due to mounting concerns over depleting fossil reserves and the environmental impact of conventional fuels, global biogas revenues are expected to grow at a steady 6.5% CAGR from nearly $24.5 billion in 2015 to around $48.8 billion in 2026 (Waste Management World, the official magazine of the International Solid Waste Management Association, ISWA).